With rising obesity a concern throughout the United States, exercise has become an especially important topic. In fact, the federal government believes so strongly in the importance of exercise that the Centers for Disease Control and Prevention has released guidelines suggesting that all Americans get at least 150 minutes of aerobic exercise every week. As you take part in this exercise, you may notice that both during and directly after aerobic activity, your heart rate increases. This actually plays an important role in the process of energy production. When you exercise, you increase the work being performed by your muscles. This work also increases the amount of energy being expended by the muscle tissue, which creates a need for additional energy to keep exercising. Even after you have finished exercising, your body continues to need additional energy, both to replace lost energy while exercising and to perform tasks like repairing tears in the muscle tissue for muscular hypertrophy, or muscle building. In order to create the additional energy needed during and after exercise, your lungs must respond by increasing the respiratory rate. This results in the faster breathing seen both during and directly after exercising. The faster you breathe, the more oxygen you can take into the lungs per minute, which is then transported across the lung walls and into your bloodstream. With the lungs supplying additional amounts of oxygen to the bloodstream, the heart must compensate by increasing the rate at which it beats, which increases your heart rate. A faster heart rate allows the heart to pump the oxygen-rich blood to the many cells in need of oxygen both during and after you exercise. Once the oxygen is pumped to the needy cells, a process called aerobic respiration "burns" broken down food products to release energy by exposing the products to oxygen. 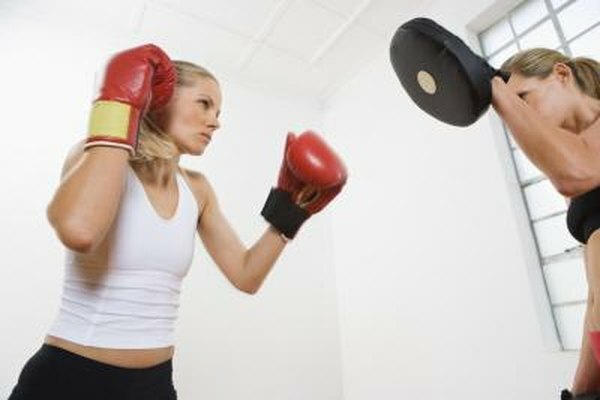 The result is usable energy for the cells to continue to exercise, or to repair any damage caused by the exercise. The increased heart rate after exercise helps transport waste products produced by the energy-making process out of the body, especially carbon dioxide, which is placed into the veins and transported to the lungs, where it can be exhaled out of the body.